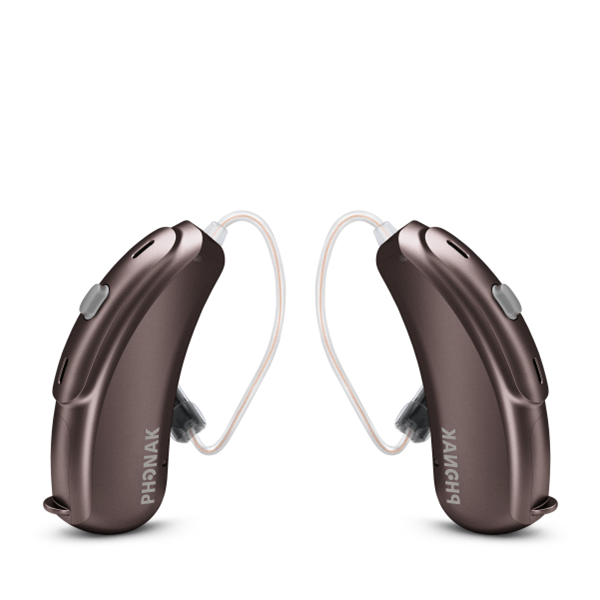 Phonak Audéo B50 312T Hearing Aids – The comprehensive RIC portfolio, including the new rechargeable hearing aid for mild to severe hearing loss, is designed to simplify your clients’ lives while providing an exceptional hearing experience, regardless of their whereabouts. Phonak recognizes how important hearing is to enjoying all aspects of life; therefore, the company seeks to create easy-to-use and technologically advanced hearing aids and assistive listening devices to help people find that enjoyment again. 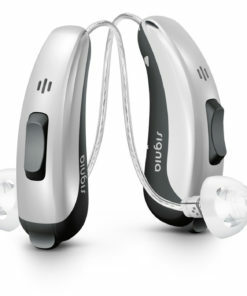 Phonak names the products in their portfolio according to the style of hearing aid, for example, the latest behind the ear (BTE) product is called the Bolero, the receiver in the canal (RIC) product is called the Audeo B and the custom-fit products are called Virto V. Each style/brand is available in a range of technology levels: Essential, Standard, Advanced and Premium. 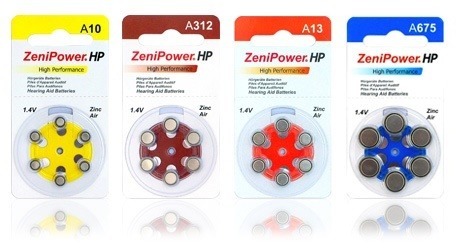 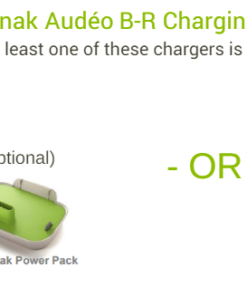 This wide variety of technology options equates to a variety of pricing levels for each branded model. Note – the RIC style is another name for the receiver in the ear (RITE) style. Phonak Audéo B is the comprehensive RIC portfolio for mild to severe hearing losses. 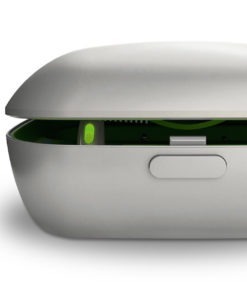 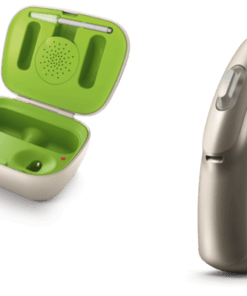 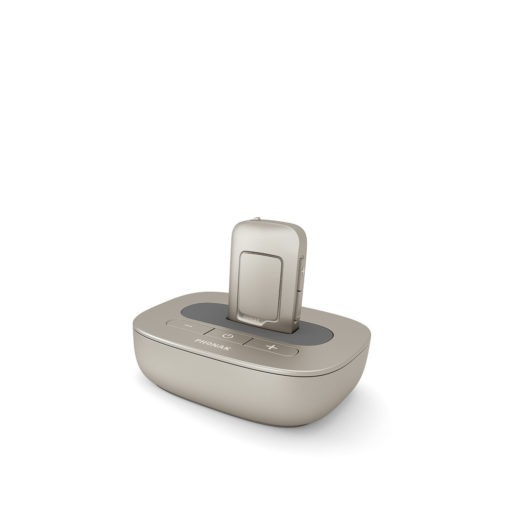 Phonak Audéo B includes five designs, three external receivers, and four performance levels, and features a rechargeable model. Powered by the innovative technology of the Phonak Belong™ platform, Phonak Audéo B hearing aids are the ideal solution for those clients that prefer the best hearing performance in flexible and discreet RIC housings. 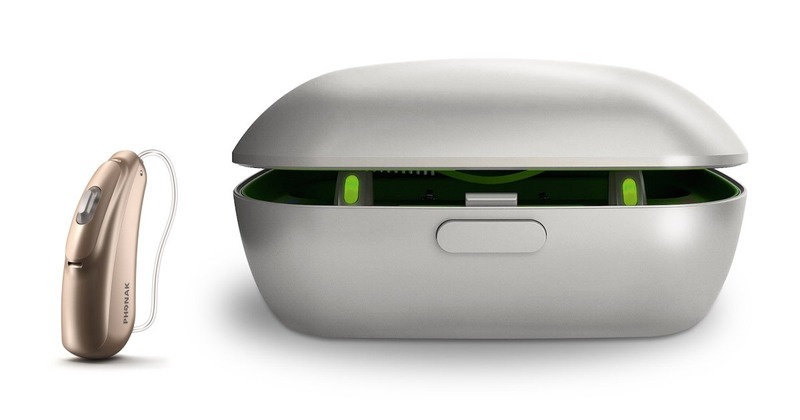 We’ve taken this as a key focus area when creating the new Phonak Belong™ platform. 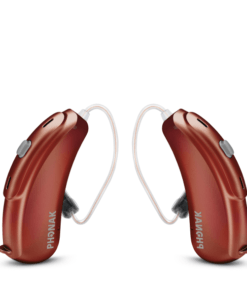 As the name suggests, we want clients to have hearing aids that allow them to feel at one with their environment, regardless of where they are. 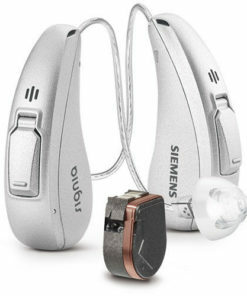 Your clients can rely on their hearing aids to seamlessly and automatically do all the work for them. With Belong, consisting of rechargeable lithium-ion battery technology and the new AutoSense OS, we’ve created a simply brilliant way to simplify your clients’ lives while providing an exceptional hearing experience. What makes Audéo B so special is its unique operating system called AutoSense OS. 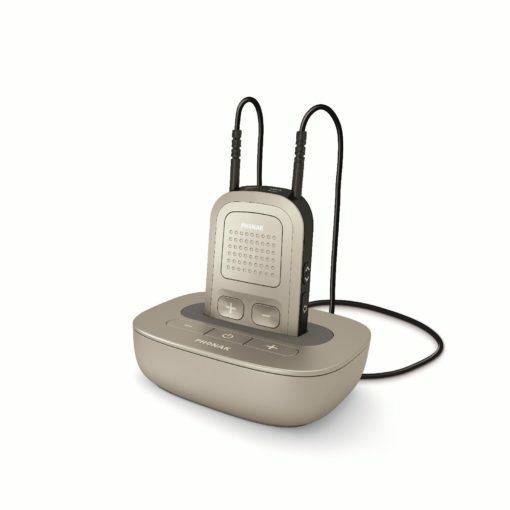 It automatically senses your clients’ listening environment in real-time and draws from multiple features, while accurately blending them to create over 200 distinct settings. 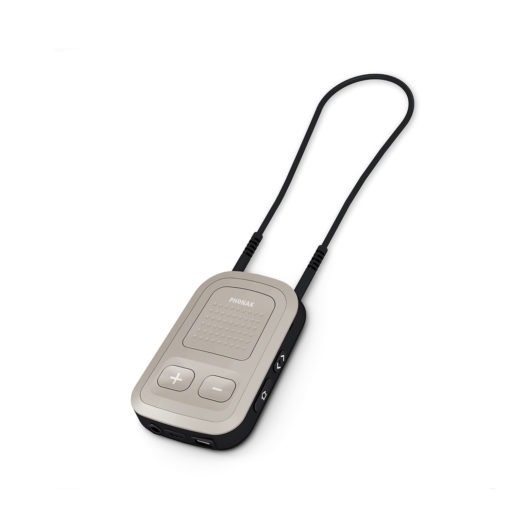 This creates a seamless listening experience when moving from one environment to another. 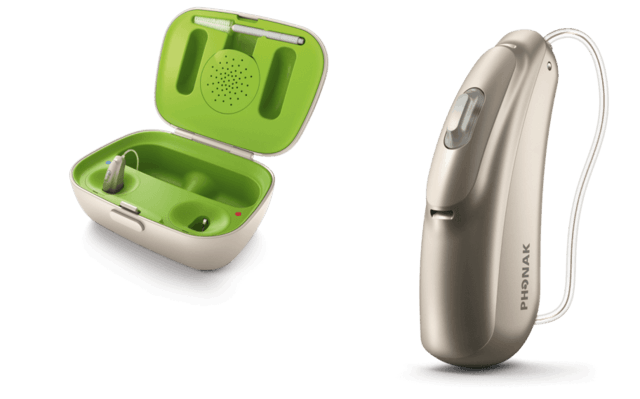 All your clients have to do is turn on their Phonak hearing aids and enjoy unmatched speech understanding, wherever they go! 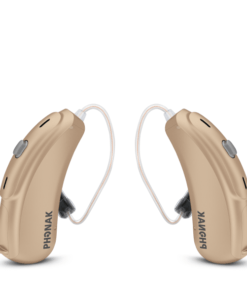 In addition to an extensive line-up of hearing aids, Phonak offers other assistive technology to work with their hearing aids to improve hearing ability in a variety of situations. 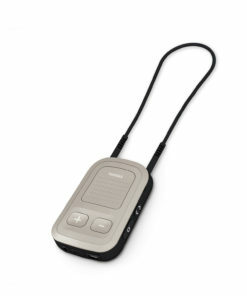 They have the Roger Easy Pen, Roger Clip-on Mic and Roger Receivers, a line of wireless accessories to improve conversations in noisy situations or over a distance. 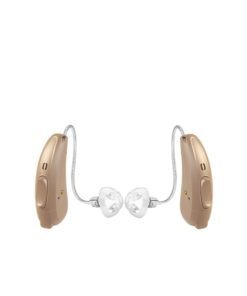 They also offer the Phonak TVLink II, which works in conjunction with ComPilot II or ComPilot Air II to stream television and other audio signals to your hearing aids. 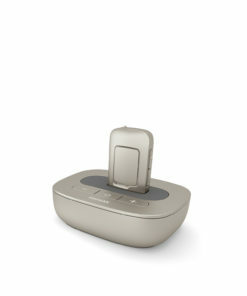 Phonak EasyCall II streams mobile phone calls to both hearing aids for ease of listening. 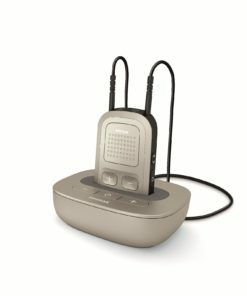 The latest assistive listening device (ALD) products are compatible with the latest hearing aid models. 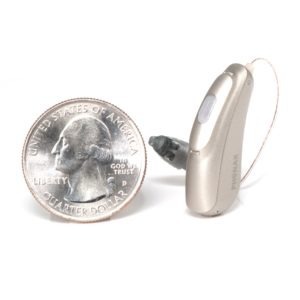 If you are interested in purchasing an ALD to go with a legacy product, be sure to ask your hearing care professional which accessories are compatible with your hearing aids. 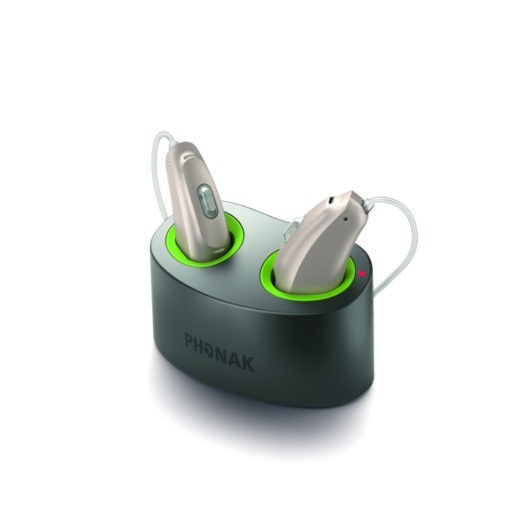 Phonak has been committed to developing, producing, and distributing cutting-edge hearing solutions for more than 70 years. 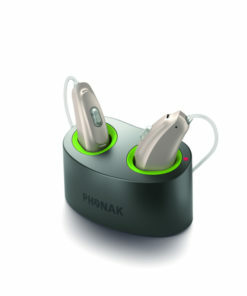 Phonak’s United States presence is headquartered in Warrenville, Illinois.